Step right up people! 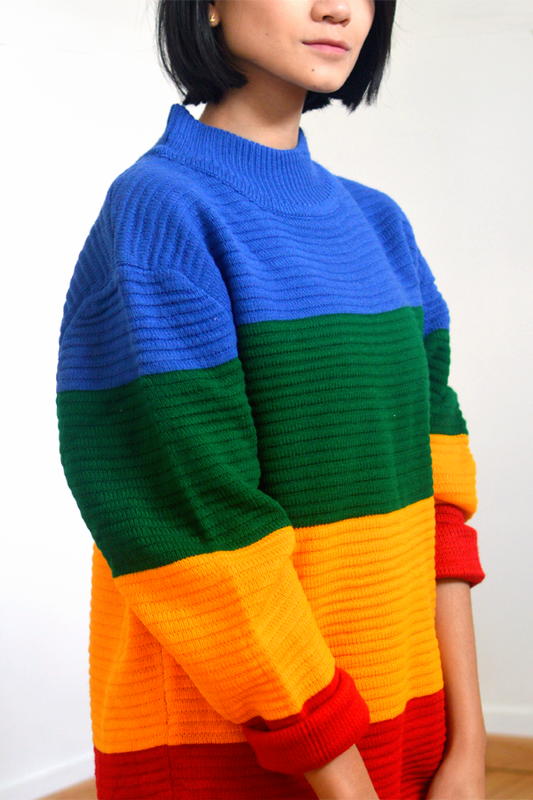 Gather around and let me walk you through my colorful UNIF crayola sweater. No it is not a myth. In the words of Barney Stinson: It is legendary! Let me tell you a love story of how my sweater and I met. 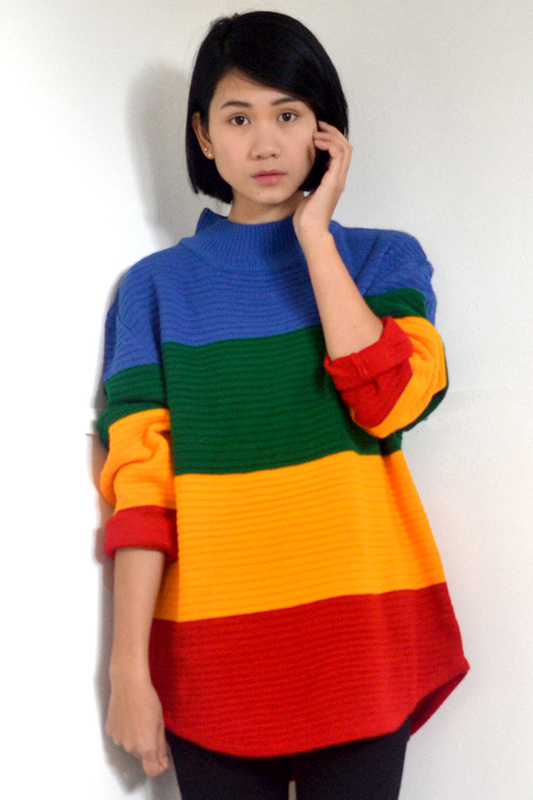 I have been stalking UNIF‘s webshop for quite a while now. I loved their dip dye collection, their over the top boots… Basically anything they created with their magic design hands. 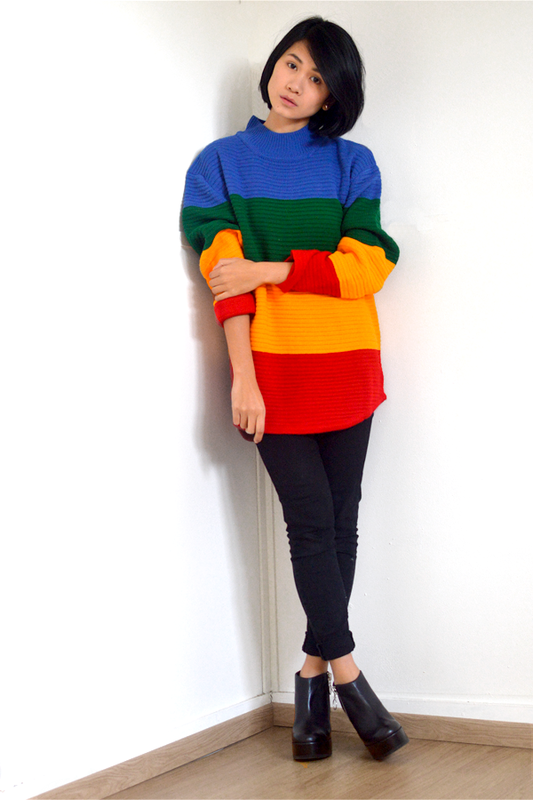 Then I came across this crayola sweater! It was love at first sight. Since money does not grow on trees in my world, I waited in hopes this little bad boy would be on sale one day and I could grab it with both my hands. Little did I know, this sweater had more hearts racing and it was sold out… No problem I thought, it simply was not meant to be. I moved on. But when I walked in Urban Outfitters, fate kicked in and I saw this wonderful sweater gloriously hanging on the racks in freakin’ sale. Long story short. It’s wonderful. It’s colorful. It’s mine.